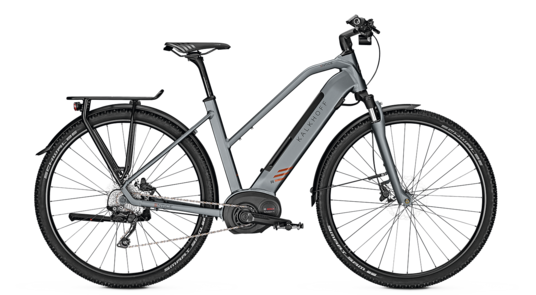 The Kalkhoff Entice Tour B9 is one of Kalkhoff’s top of the range trekking bikes, and is available with either the full crossbar frame, step through or lower crossbar as shown above and with a choice of colours. 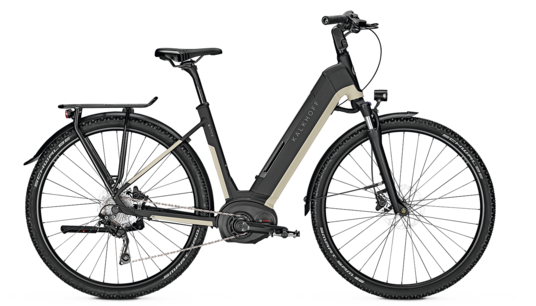 The new Entice models extend the Kalkhoff experience in the “every road” direction: when the tarmac ends, Entice e-bikes really come into their own. 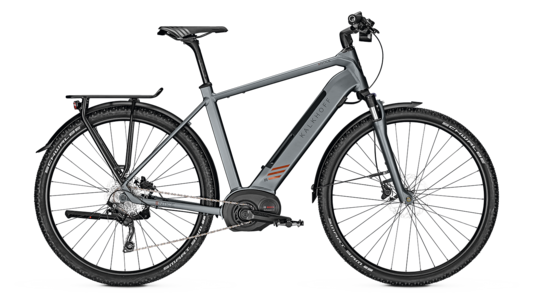 This is Kalkhoffs first venture into Cross Hybrid bikes and this Allroader is rugged bike with a powerful motor and a fully integrated battery ensure cycling pleasure that goes the extra mile. At the very first glance, it is the harmony of the design which really strikes you. When you look closer, Kalkhoff Entice will impress you with many excellent features which are all perfectly integrated into the overall look. 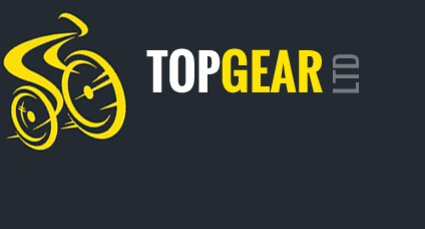 Powered by Bosch’s high torque Performance Line motor. 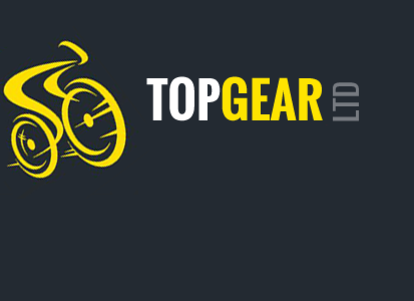 This bike means business and with a whopping 500Wh battery.